Good price, quality and promotion. Fabric not as substantial as I had come to expect. Also don't wear as well after being washed. Response from Charles Tyrwhitt: It's always most upsetting to see a customer not 100% loving their new shirts, but we appreciate you sharing your feedback with us nonetheless. I will ensure your comments are shared with the Products Team accordingly and I very much hope we can restore your faith in our quality - which remains top notch - on a future order. You are more than welcome to return this shirt to us and we will ensure you receive a refund, or an exchange to a similarly priced alternative shirt. I would have rated you a 5 except there are not enough must iron cotton shirts to choose from. I don't wear that chemicalized **** that doesn't breath and wears out sooner. Indeed, I can't wear it where I live from May-September. 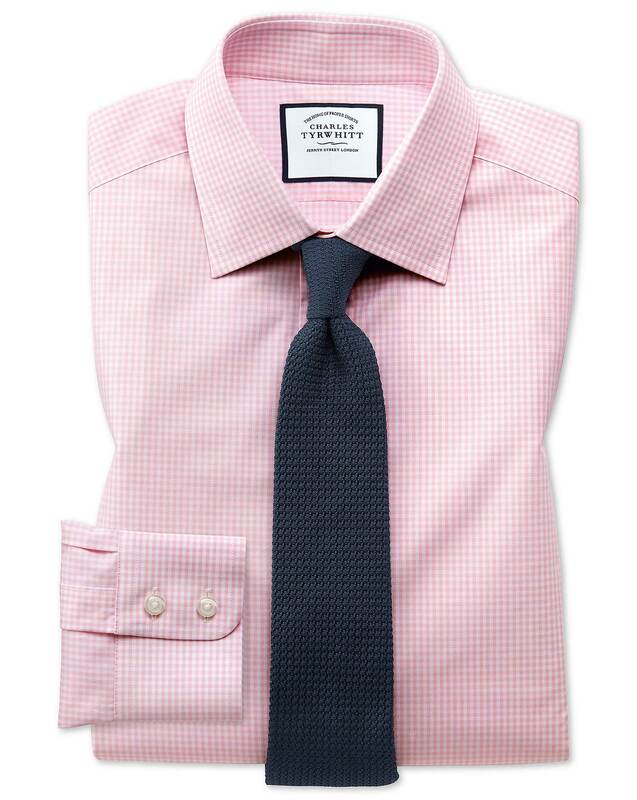 Response from Charles Tyrwhitt: While our best-sellers are our Non-Iron shirts, I can certainly appreciate that not all customers wish to have this option, which is why we do still offer non-treated shirts to purchase. Thank you for taking the time to provide us with your feedback, while we cannot promise any immediate changes, we are always looking for ways to expand our ranges to accommodate all our customers.